Unusual U.S. (?) firearm used in Battle for Manila? | Heritage Bn. Unusual U.S. (?) 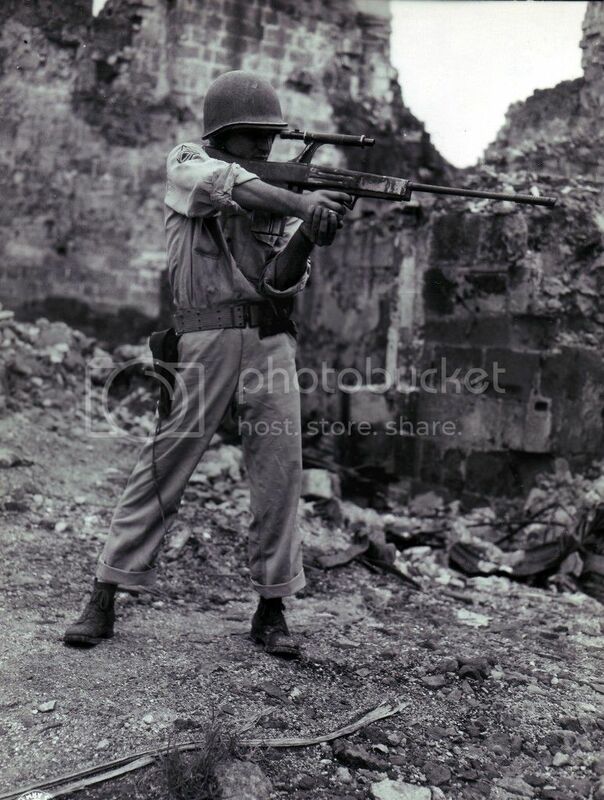 firearm used in Battle for Manila? 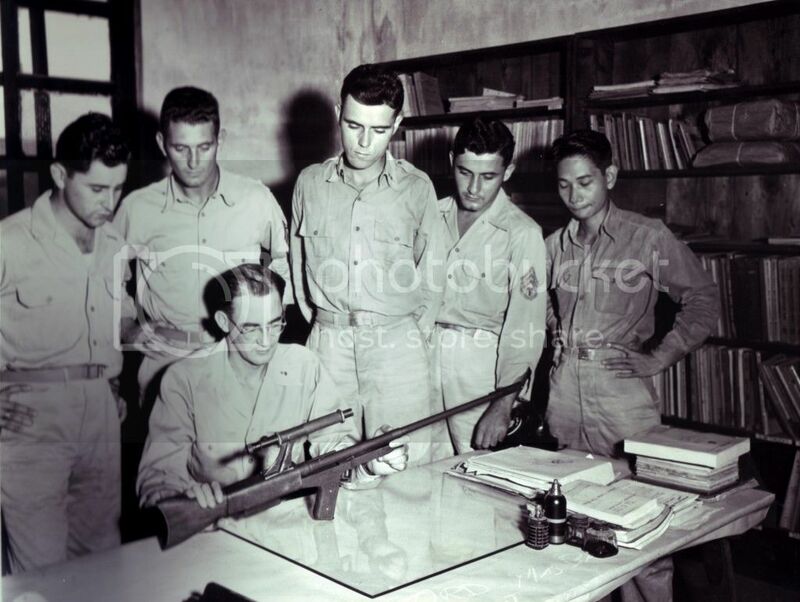 My friend Bob passed along a picture he obtained of a GI firing a weapon during the Battle for Manila in early 1945. I've studied U.S. military weapons nearly all my life (65+ years) and I can't figure this one out. Possibly a "GI pickup"? The weapon bears a faint resemblance to the Winchester Automatic Rifle which was tested by the Ordnance Department in late 1944, and passed with fine marks. However, with the war winding down, a paltry initial order of ten (or twenty, depending on the source) was placed in the summer of '45, and apparently no examples were sent to combat units for any sort of field evaluation before the conflict ended. Also, a telescopic sight would seem inconsistent for a BAR replacement. Curiously, the photo shows little detail in the area where the receiver should be. I browsed thru other nation's guns, too, but found nothing...this rifle is a mystery to me! Very unusual indeed, even the scope. The forward part of the stock looks like one of the H & R "Reising" series of rifles, but the rear part of the gun does not correspond to any of them. Great catch on the spotless, sweat-less uniform. Yup its a model 45A. Good photos and info Chad. Very interesting. A rifle I did not know about....obviously experimental as the posed photo shows. Khaki shirts and trousers, not to mention rank, were not be worn during combat operations; the OD HBT uniform was the norm.